Make the most of this private tropical island paradise, with snorkelling, fishing, beach combing and whale spotting. Think candlelit dinners under the stars, longs walks along pristine white sand and secluded lodges with plush fourposter beds. Explore the stunning coral reefs surrounding the island. Let the hotel organise a 'sandcastle' private dinner with a personal butler on the beach. Learn to fly fish from the soft white sands, a truly memorable experience. Paddle the turquoise seas in a two man sea kayak, the perfect way to explore the coast. 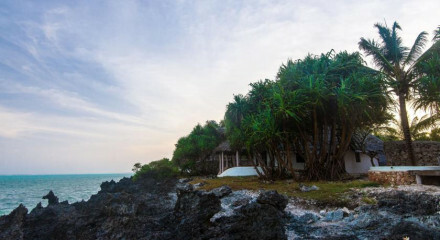 Mnemba Island has its own dive center which provides a range of activities for all levels of skill. The island is a protected nesting place for green turtles, humpback whales roam offshore, along with dolphins and whale sharks.